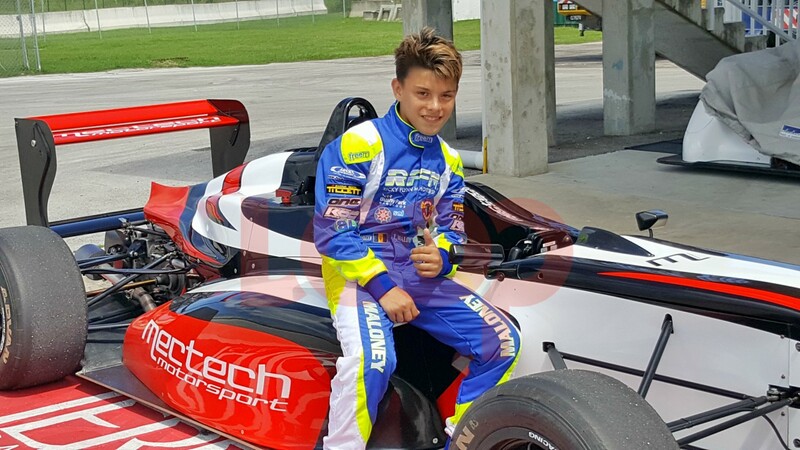 In a dramatic finale to the Suzuki Challenge Series during the Barbados Festival of Speed at Bushy Park on Saturday (October 14), Sol Esuf withstood huge pressure from Stuart Maloney in the double-points final to win back-to-back SR3 Cup titles. With thunderstorms beating across the island and a flood warning in place, even being able to run the last two races in the third Suzuki Challenge Series had looked in doubt earlier on; the second BFoS, however, was always planned for an early afternoon start, as it could now run into the night under the lights. So, after some judicious dodging of showers early on, the entire programme was run, including regular outings by Button in a specially-livered Radical RS3 RS, including a spectacular race against a Twister aerobatic plane, which the 2009 World Champion afterwards described as “proper scary”. perhaps mindful of the double-points soon to be awarded for the reversed grid race. 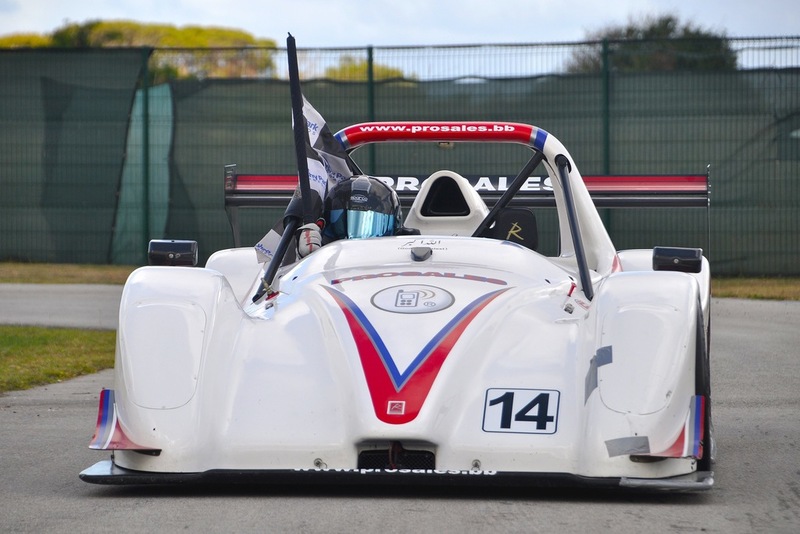 The daylight 12-lapper was run in damp to drying conditions, requiring caution and skill in equal measure, despite the Suzuki-powered Radicals lapping around eight seconds off lap record pace. Stuart Maloney led from the start, slipping behind Mark for a couple of laps just before half distance, when Sean also spun to the back; once back in the lead, it looked as though Maloney was going to cut his deficit from 20 to seven points, as Esuf was running fourth, but the points leader snatched third from Gonsalves on the final lap for a gap of 10 going into the final. So, it was now clear-cut – with 50 points for the win, 36 for second place, whichever of these two won the final would be Champion. Simpson got an excellent start from the reversed grid front row and looked set to challenge pole-sitter Esuf for the lead going down into the Kink and Hammer, but Esuf was having none of it, holding station. As Maloney moved through to second place, there was action aplenty in the first half; a cracking battle between Gonsalves and Simpson coming to an abrupt end when they both spun at the Banks Esses, Gonsalves continuing, but Simpson retiring. Sean Maloney then headed to the pits, leaving the title fight an almost clear track, and Stuart made the most of it . . . lap after lap, he chipped away at Esuf’s lead, cutting it to just two-tenths a couple of laps from home, but there was nothing more he could do. Esuf withstood the pressure with great determination to claim his ninth SR3 Cup win, and the 2017 title. In the Swift Cup, points-leader Barry Gale and closest challenger, Trinidad & Tobago’s Ryan Peyrau, started the day separated by just four points, with Justin Campbell another 26 behind, 30 points spread spread across the trio and 75 on offer. Campbell (Team Rock Hard Cement) started the day well, with his first pole position, ahead of Peyrau (Team Simpson Finance) and Gale (Team Bushy Park Experiences), with Reigning Champion Ryan Wood (Team BFoS) next up. Campbell led for all but one lap of the daylight eight-lapper, the first race of the day with the track still very damp from what, thankfully, turned out to be the last heavy shower. As drivers scrabbled for grip, ‘Woody’ – he’d taken his Joker on the opening lap - fought through to finish second, ahead of Gale and Peyrau, the 30-point spread across the three title-contenders now slashed to 20, setting up a thrilling climax. 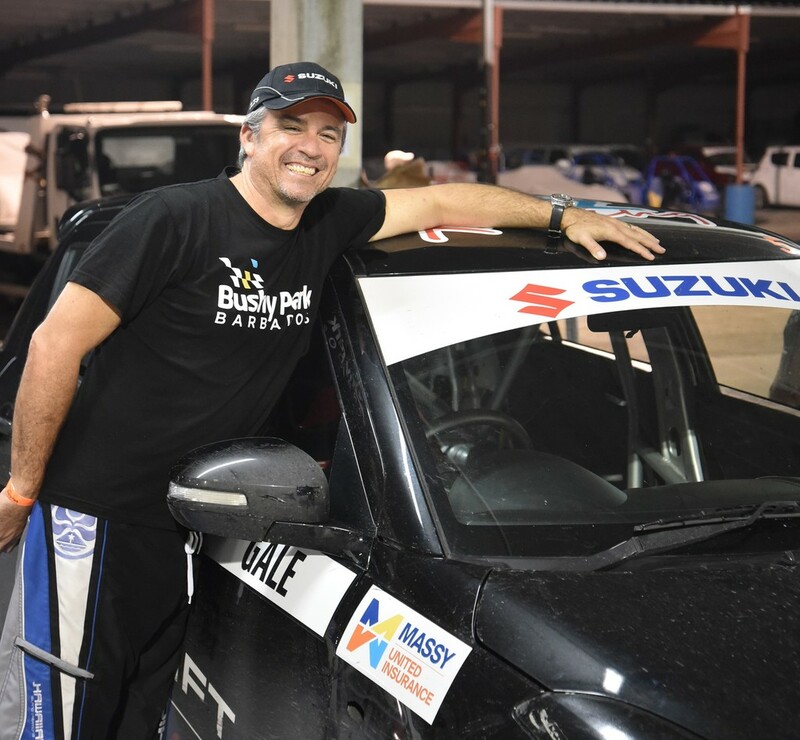 Justin Maloney (Team Bushy Park Kidz Experiences) led the reversed grid, with Kenrick Husbands (Team Williams Industries) alongside, ahead of former Barbados Rally Club Champion Driver Rhett Watson – after subbing for Pascal Calvel in September, he was now in for Josh Read in the Team Massy United Insurance Swift Sport – and Wood. Gale and Peyrau would have work to do from row three. While Maloney made a good start, to lead for the first few corners, Watson was soon past, determined to build an early lead. He was able to do so, helped by the others tripping over one another, Peyrau and Campbell among four to take the Joker in convoy on the opening lap. Gale left it until lap three, while Watson was able to do so at a leisurely pace on the penultimate lap as he cruised to victory. While there was little action in Watson’s life, it was all kicking off behind, a last-lap incident involving Wood, Peyrau and Campbell attracting the attention of officialdom. Although Campbell and Peyrau crossed the line second and fourth, with Wood the meat in the sandwich, the adjusted results would list Wood second, with Campbell penalised for having gained an unfair advantage in third, and Peyrau last, thanks to a jump-start penalty. Even without those penalties, Gale’s second and fourth-place finishes would still have given him the title - the third different champion in as many seasons - although it would have been by a much reduced margin. 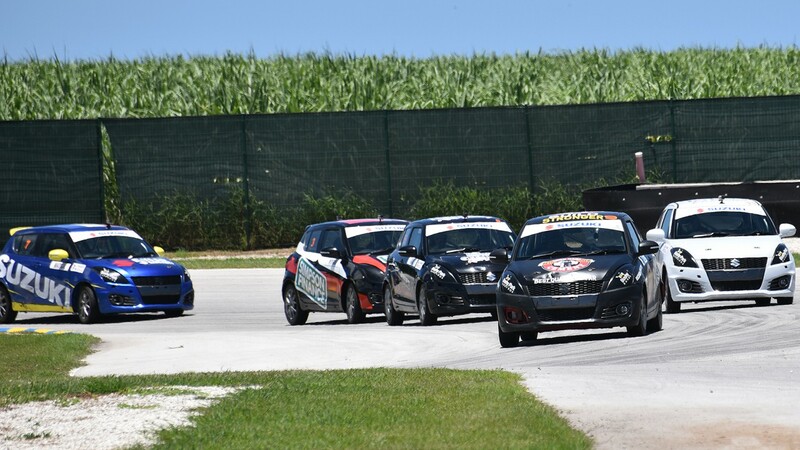 Campbell passed Peyrau to finish second at year-end, with the T&T driver slipping to third.